Ilina here today! I am so excited that this month we are collaborating with Concord and 9th. Their images are amazing. 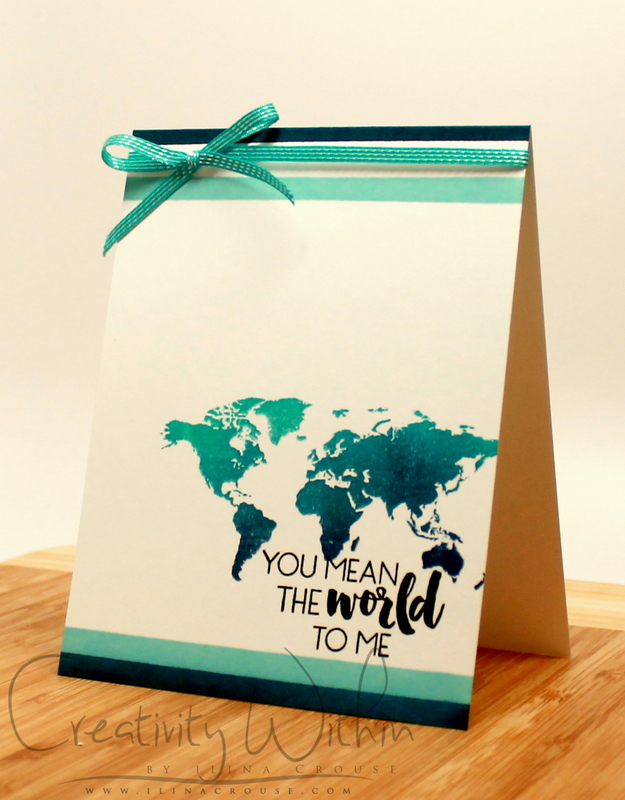 For my card today I used the Map Love and paired it up with the Hero Arts Pool to Navy ombre ink. I just love how it came out. But let me make a step back. Before I stamped my image I used Micropore tape to mask strips on my card front and then sponge them with Pool and Navy Hero Arts ink pads, so those are not strips of paper but inked portions of my white card base. 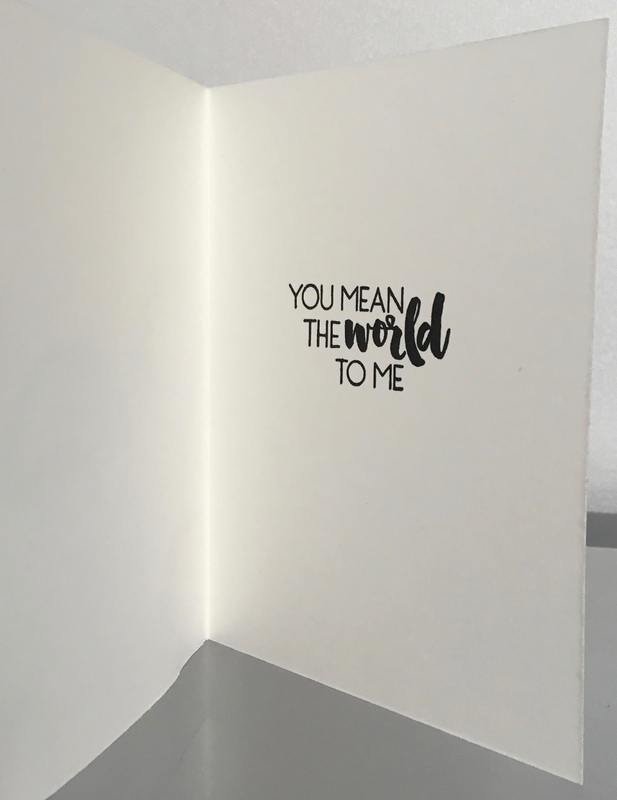 After that I stamped the image, and then using Versafine Onyx Black ink pad I stamped the sentiment. 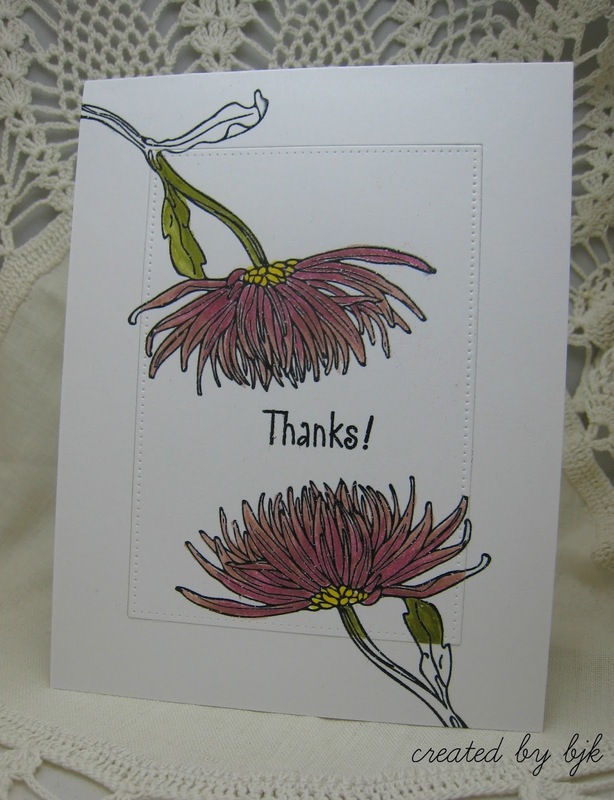 And no card is complete without some embellishment (at least according to me) so I tied some Stampin’ Up! Bermuda Bay at the top fold of the card. Thank you so much Concord and 9th for letting us play with your wonderful line of stamps, dies and other supplies this month! Thanks for stopping by today. It’s my turn to showcase our lovely collaboration partner this month, Concord & 9th. I have been so pleased with their designs and quality. Honestly, if I can use a stamp perfectly the first time I use it, you’ve won my heart. And it doesn’t hurt that the owners are just the nicest people. I like to support small companies and this is one that will definitely be seeing some of my money in the near future. On to the card! 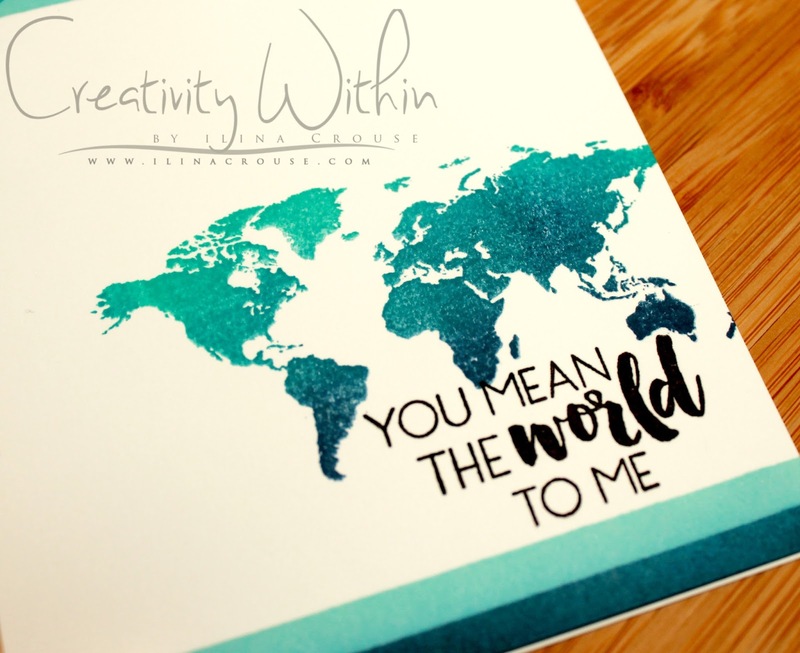 I used the Map Love stamp set for inspiration and the stamps. I wanted to keep this card simple, yet graphic. 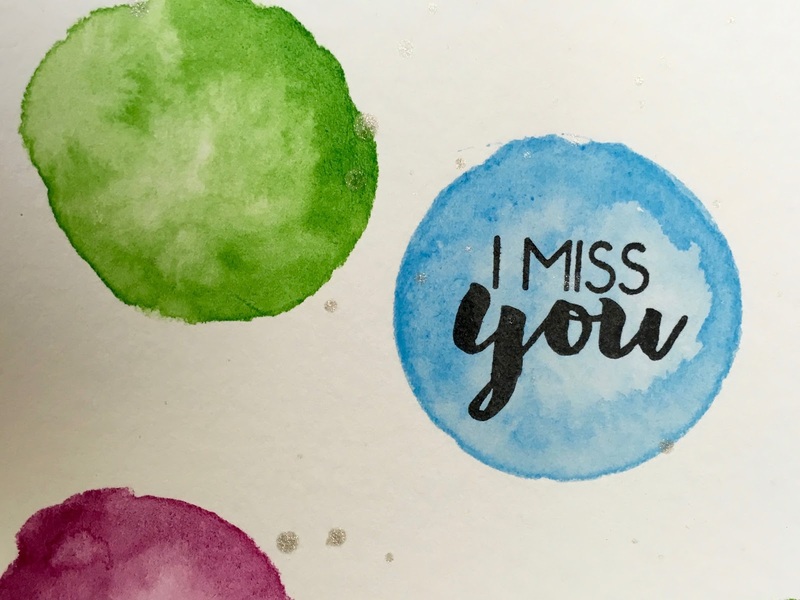 I used the circle die from Bags & Tags as a sort of stencil, to create the watercolor spots. 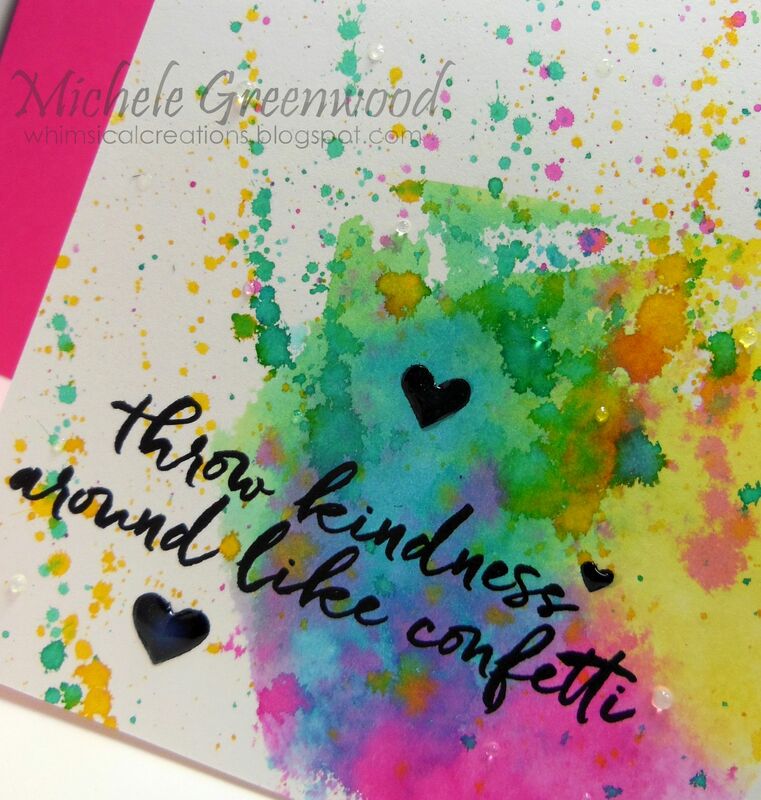 Once that dried, I stamped the sentiment and then flicked some of the shimmer mist on the card front. I used this wonderful sentiment on the inside. I just love it, the font, the feeling, the size. Everything. This stamp might as well just live on a stamp block in my stash. It will be used that often. I hope you’ll go out and buy some Concord & 9th products for yourself. You won’t be disappointed. And if you’d like to win some of their products, please join us in this month’s challenge. You can find all the details by clicking on this graphic. 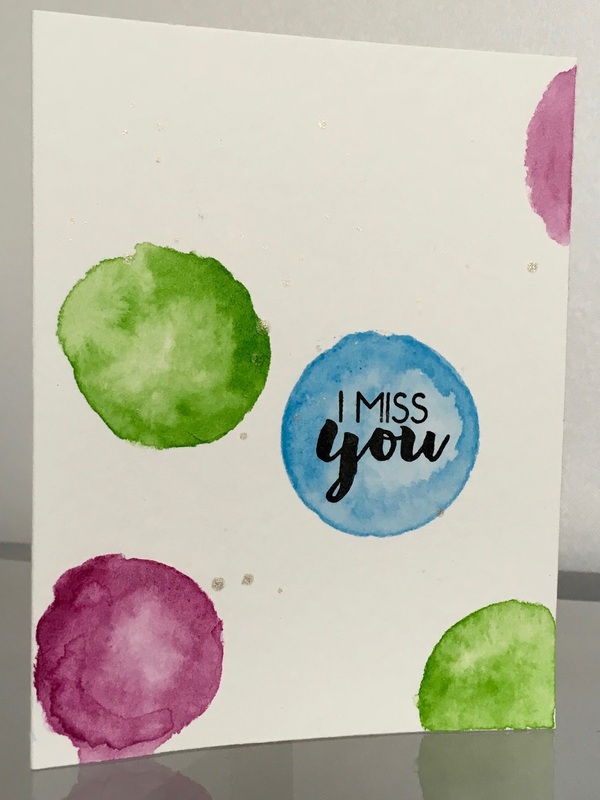 I wanted a bright and cheerful card and although I didn’t specifically use watercolor paper OR inks, it still worked beautifully! I used a piece of acetate (clear transparency) and dabbed on Hero Arts neon inks, I then spritzed the acetate with water which diluted the colors somewhat. I ‘smooshed’ (pretty sure that’s an official term – HA) the acetate onto my card stock then proceeded to ‘fling’ the various colors over the card stock using a small paintbrush. I have to tell you, that flinging felt good – seldom do I lose control like that! 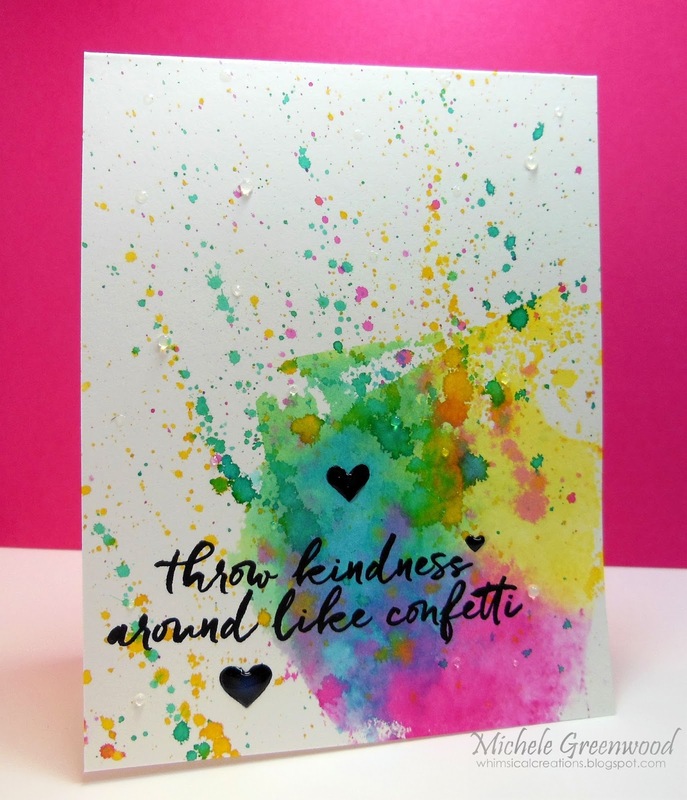 I used my heat gun to dry everything, then stamped the sentiment from Acts of Kindness in Hero Arts black ink – stamped twice using my misti for a bold/solid image. I added 3 hearts and a few dots of glossy accents. 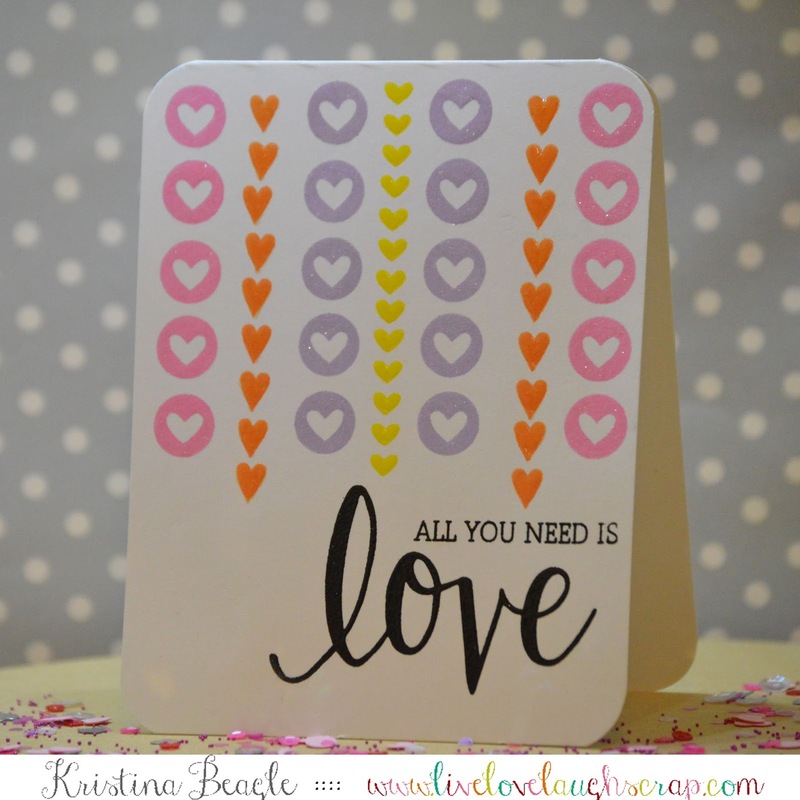 Thanks for stopping by; hope you’ll join the fun and show us your one layer cards, we love seeing your creations! Link ’em up HERE! badly wanted to add a sequin, an enamel dot or a layer of something! The stamp I used is from the new Hero Arts catalog just released this past Sunday. 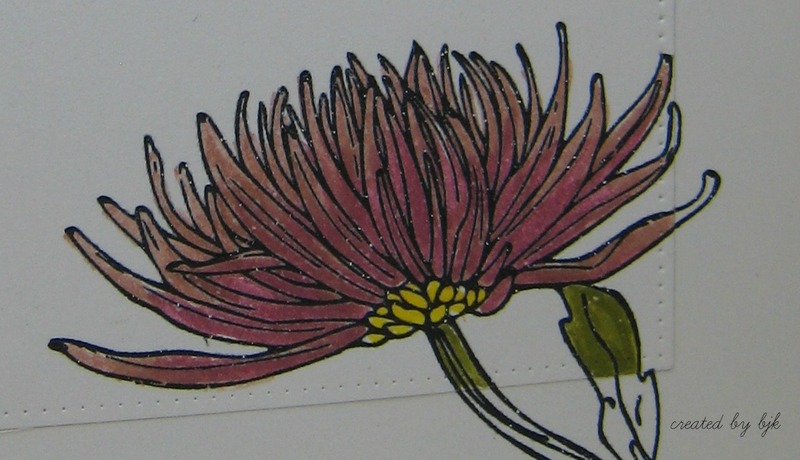 It is called Mum Stem (K6134) and is the perfect stamp for coloring with Zig clean brush watercolors. cut the center part and colored only this with Zig watercolor brushes. fit the colored piece in. Hi Friends! 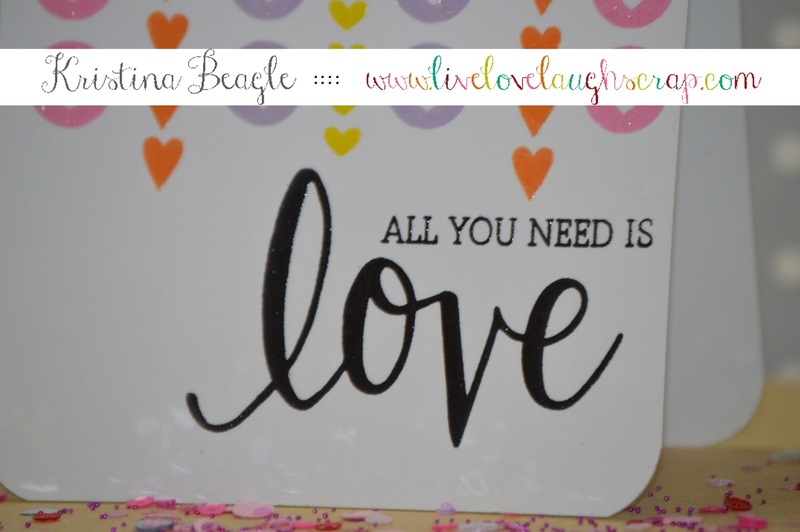 Kristina here with my inaugural post on the A Blog Named Hero design team! I’m sure excited to be here with you! 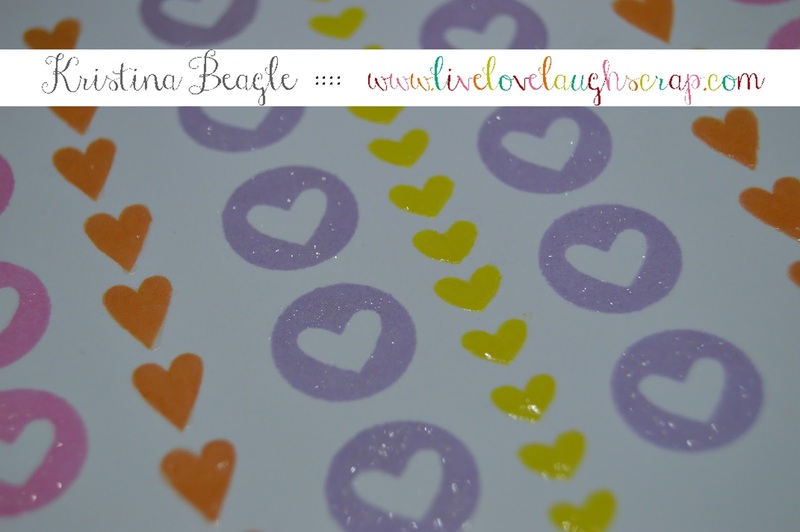 Today I’m playing with Hero Arts new Love Stamp and Cut set. This months sponsor & collaboration partner is Concord & 9th, be sure to check out this post to link up your one layer project!